Receipt for some creative fun: first build a Stonehenge model from our kit, then add some artificial grass, put the model on a lazy susan and finally paint the paper stones and grass with watercolors! Gift a Little Architecture This Season! 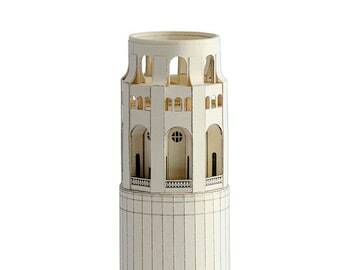 We have a new model in our collection - Coit Tower in San Francisco! Closeup of model parts. Just cut, glue and enjoy your Mount Vernon! 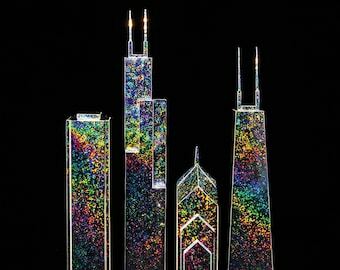 Cutting holograms for the Chicago kit. We love all kinds of towers. Pigeon Point lighthouse miniature reflecting sunlight from the ocean. Photo shooting of Taj Mahal can start now! All parts getting ready for a final assembly of Taj Mahal model.